Hope Springs International is so blessed to have qualified and capable leadership in our African operation. 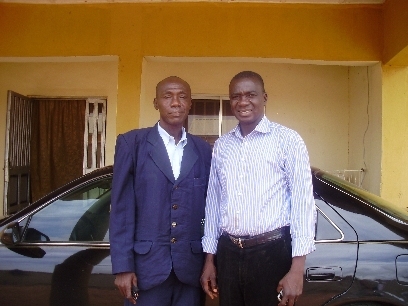 Rambi Ayala (On the Right) is our Director of Operations for Africa. Rambi works full time for Hope Springs and is presently establishing our new base of operations in Gombe State, Nigeria. He oversees all of our work in Africa including Dono-Manga, Chad. Pierre Rimorbi (On the Left) grew up in Dono-Manga, Chad. Pierre shared the critical needs of this district with us back in February of 2009. He has been our eyes and ears on the ground, and has directed the onsite operation of the work we are doing in this area of 126,000 people living in 92 villages. Pierre is supported by the Petersville Church of Christ in Florence, Alabama. Both of these men are deeply committed to Christ and are committed to the challenges that face us as we continue to reach out to those in need. Categories: Chad, Dono-Manga | Tags: Dono-Manga, Leadership | Permalink. You can see the excitement on their faces. 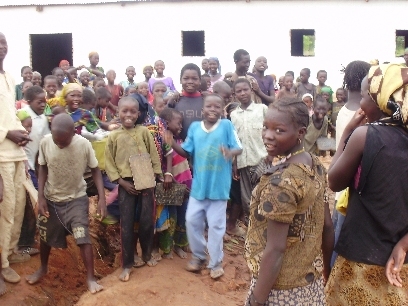 A place to live and now a well providing clean water for drinking and farm use. Thanks you for giving these kids hope and a future. New pump being installed at Orphans Compound - Orphanage white building in background. 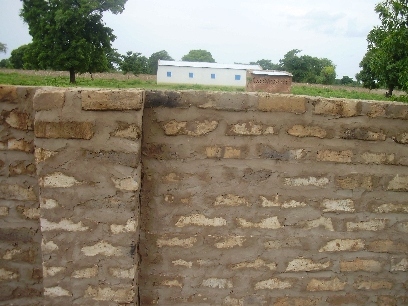 New wall completed around farm compound. Small building in front of Orphanage is the kitchen. 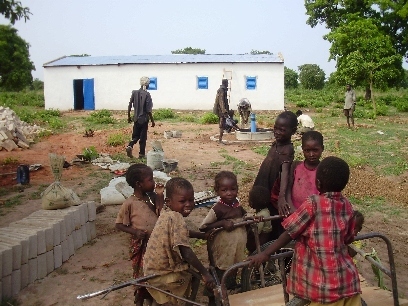 Children help with blocks for well wall. Categories: Chad, Children, Orphanage, Orphans | Tags: Chad, Children, Dono-Manga, Orphanage, Orphans | Permalink. Our dispensary in Dono-Manga continues to be a blessing to more and more people. 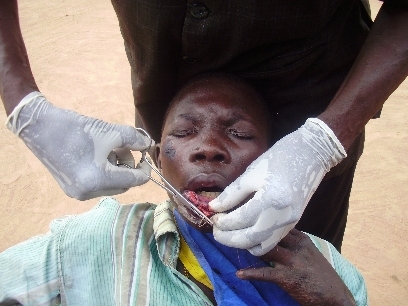 Word has now spread beyond Dono-Manga and people are coming from miles away seeking treatment. 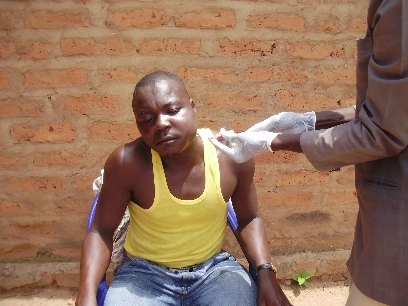 Our nurse treated 122 people in June and 149 in July. 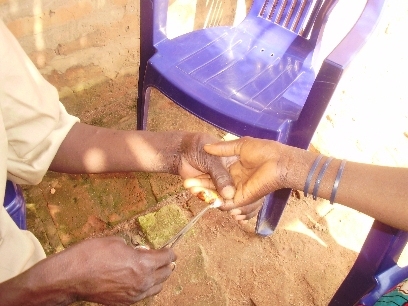 Patients were seen for a number of different ailments including, but not limited to dental needs, eye problems, and children suffering from diarrhea, malaria and guinea worm infections. The vast majority of women in Dono-Manga give birth at home so there were a number of post natal checkups which are saving the lives of many mothers and their children. While the number of people being seen may seem small, what you have to realize is that we have only one nurse who works part time with no one to assist him. For the price of a cup of Starbucks Coffee a day we could provide full time daily care for hundreds more. If you would like to know more contact us through Hope Springs International website. When we first came to Dono-Manga it was common to see two or three funerals a week, sometimes more, and most of them were for children under the age of 5. Today funerals are an infrequent event. 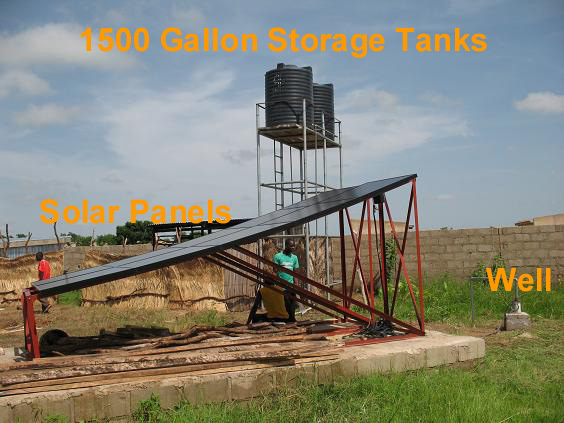 Your gifts to Hope Springs International have changed that picture, by provided clean drinking water and a dispensary that is saving lives daily. But they are receiving more than just treatment for their physical bodies. While they are experiencing the love of Christ, they are also being taught about a God who loves them and sent His Son to die on a cross for them. Many who came because of a physical need returned home with both physical and spiritual needs met. Thanks for continuing to be Jesus to the people of Dono-Manga, Chad. 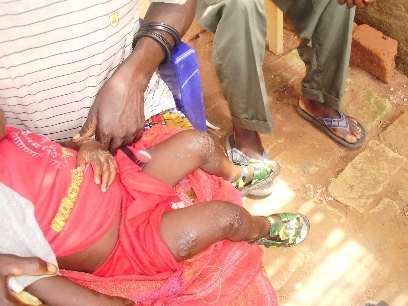 Categories: Children, Dispensary | Tags: Child Mortality, Dispensary, Preventable Death of Children | Permalink. Hope Springs International has worked with a small farm in the northern Nigerian city of Maiduguri since our beginning back in 2007. In 2008 a deep well was drilled on the farm and two 750 gallon elevated storage tanks were installed to provide a constant water source for the farm. 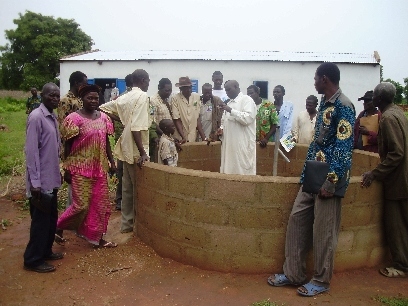 Prior to this water had to be hauled by truck to the farm and was stored in a cement block storage container which has now been turned into a tank to raise catfish. Periodically 50% of the water is drained from the tank and used to water the drip irrigation crops at the farm. 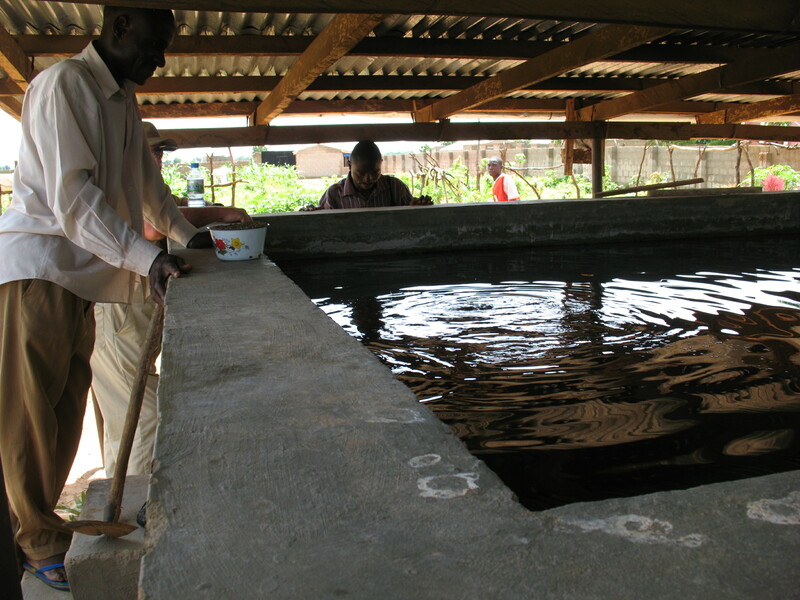 The water contains fish waste and is a great natural fertilizer for the crops being grown. When the catfish grow to about 2lbs in size they are harvested for sale and the proceeds from the sale start the whole process all over again. 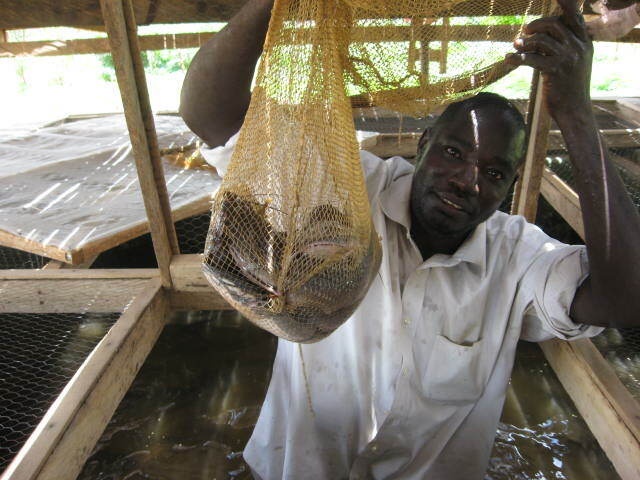 Our Orphan’s compound and farm in Dono-Manga, Chad will have a catfish tank when that project is completed. Categories: Uncategorized | Tags: Catfish, World Hunger | Permalink.